How nice! Yeah, that is the one I want . There was one in Orlando six months or so ago, but I couldn't go that far at the time due to tax season. Haven't seen one since except on OfferUp. It was listed as available for shipping and was a beautiful maroon. When I inquired he said he wouldn't ship . It isn't like I NEED one, but they are, I think, a great design. Do you like yours? I got it for my Kettle Pizza. I wanted more stability than a regular kettle and at least one shelf. I've cooked on it and because the lid is a little different and the vent is on the top it does cook just a little different than a regular kettle. The biggest problem will be if I have to take the lid off to refuel, with the handle on the front it could be a problem. 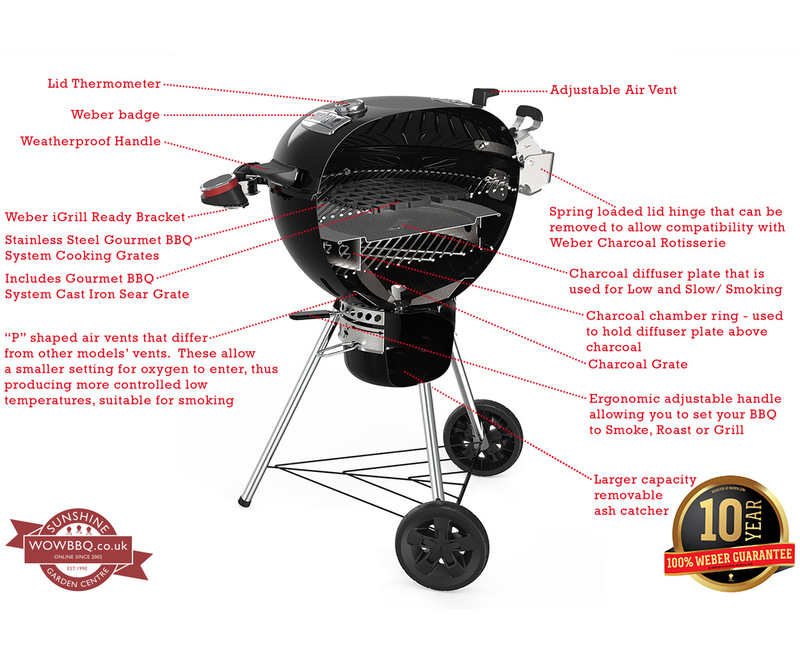 I too have a "Better-Half ; I am still undecided as to purchase a WeberQ 1200 here in Costa Rica as she is insisting that I "gift" either my WSM 18" "Classic" or Weber 22" Mastertouch or Weber Smoky Joe in order to make room for the Weber Q. Since she is now visiting family back of the States I may make this purchase this week in order to surprise her on her return to Costa Rica next Sunday with my "Macho" decision. 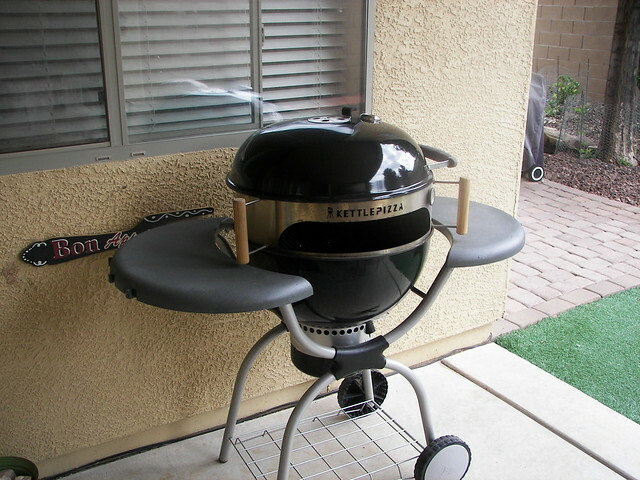 Also, I will not "gift" any of my charcoal grills as I have adequate space for the WeberQ. Last edited by Richard Garcia; 09-24-2018 at 06:57 AM. i'd buy this in a MINUTE! It does look awesome now that I can see the descriptions in English. Thanks for that post, Jim! I'm still sure we'll never see it in the US. That's a whole lot of cool stuff, especially interested in how those P shaped vents work. Still curious on the price. 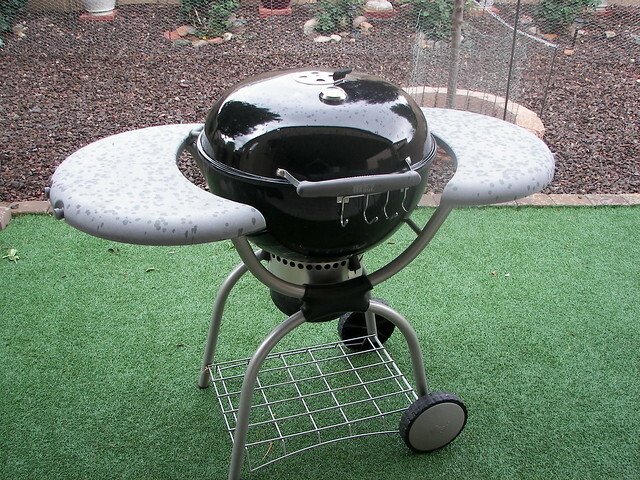 The P-shaped bottom vents are a feature of the Summit Charcoal Grill. So they've leveraged that feature for this grill. I think it'd depend on the price for me to buy it. It has a lot of features I wish the Kettle had. It might be too competitive with the WSM if you have 22.5 inches of usable space on a low and slow. I'm not sure how effective the diffuser plate is without the air gap like the one on the summit. I wonder what market research pencil pushing poindexters decide whether or not the US gets stuff. For instance, I'd buy a stainless GBS grate in a heartbeat, but don't wanna spend 40 bucks on a plated one I know will just rust again. I'd spend 80 and buy it once. They are available seemingly everywhere but the US.